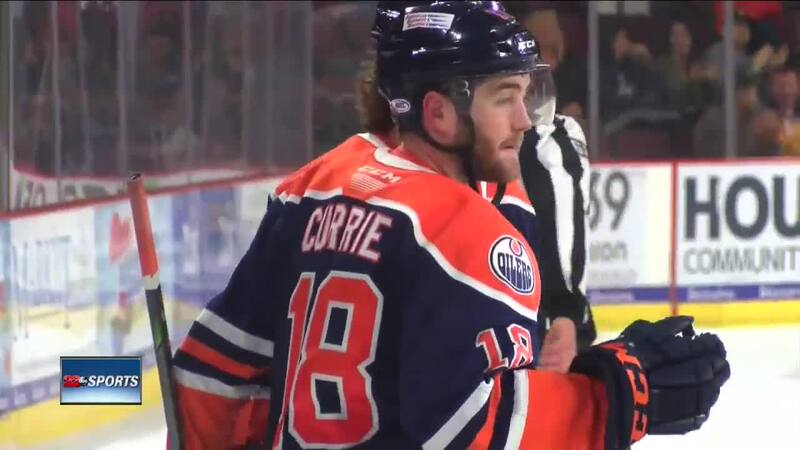 BAKERSFIELD, Calif. — The Bakersfield Condors (40-21-3-1; 85pts) returned home on Wednesday and so did some of the team's familiar faces as four forwards returned to the lineup. Condors used the comfort of home ice to hit the 40-win plateau with a 4-3 victory over the Tucson Roadrunners (33-25-5-3; 74pts). RW Josh Currie had a hat trick and pulled into a tie for the team goal-scoring lead with 27 goals along with Joe Gambardella. Bakersfield can now clinch a division title if Colorado beats San Jose in regulation on Friday or they can do it on Saturday with a win at home against the Ontario Reign.